Apple's shiny new Japanese R&D center. 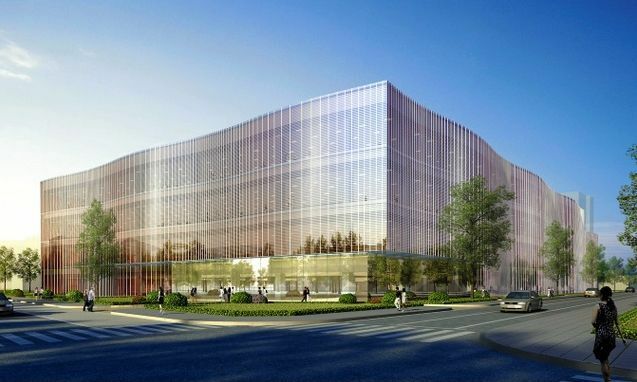 Apple’s upcoming R&D center in Yokohama will allow the company to tap into the materials, vehicles and health expertise that exists in Japan, according to a new report. The R&D facility — which will be Apple’s biggest in Asia — will join similar offices in the U.K., China and Israel. The report from Nikkei Electronics cites industry sources and claims Apple was incentivized to explore Japan as a base by the local government’s efforts to strengthen its supply chain and spur innovation in the face of rising challenges from other countries, such as Taiwan and China. Recently we reported that a number of Japanese tech manufacturers are trying to steal Apple component manufacturing jobs from existing suppliers in other countries. Apple struck a deal with Japan Display to build a $1.4 billion factory in the central Japanese city of Ishikawa, dedicated solely to smartphone displays. Apple is also teaming up with IBM and Japan Post for a pilot scheme that will distribute 5 million iPads to elderly people in Japan by 2020 to help them keep in touch with their families, physicians and community. While it’s certainly too early to surmise that a possible Apple car could have some of its research carried out in Japan (hence the focus on “vehicles”), it’s certainly interesting to see Apple explore the possibilities of a new talent market. Particularly one which has proven as enamored with Apple as Japan has.